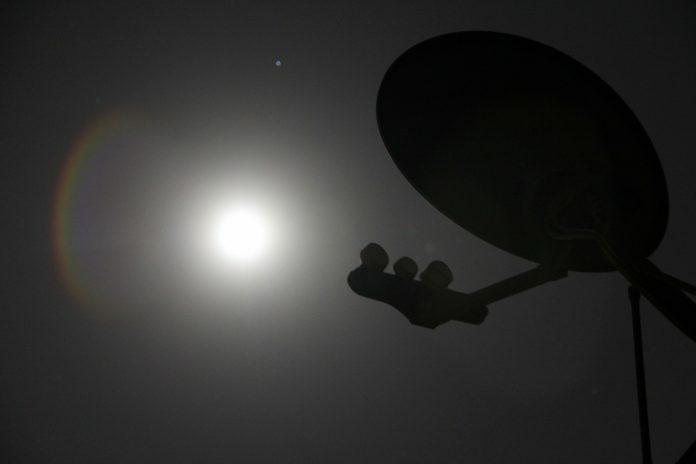 As more people cut the cord from expensive contracts with cable and satellite companies, one of the ways that they satisfy their TV cravings is by purchasing high definition antennas. 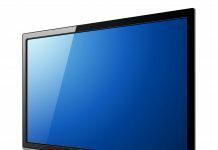 Whether it’s used by itself or as a tag team partner to on-demand video streaming devices and services, HD antennas can help offer a smooth transition for those who want to make a move to cable-less entertainment. 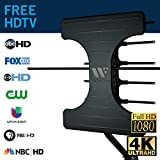 How Do We Determine the Best HD Antenna? How Much Should You Pay for an HD Antenna? 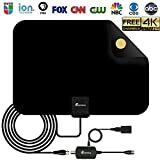 Also known as digital TV antennas, HD antennas refer to devices that help deliver broadcast television channels such as NBC, ABC, CBS, and PBS into your home without the need for a cable or satellite TV subscription. Although HD antennas tend to look more advanced than old-school bunny ears, they function in just about the same manner. They receive waves sent out from towers and convert them into audio and video signals that you can watch on your TV set. The number of stations you’ll receive over your antenna will depend on where you live. The best antennas are the ones that offer a wide signal range and reliable performance at a decent price point. Those that are multi-directional, meaning that they don’t have to be pointed towards a tower to receive signals, are ranked higher. It also helps if the antenna can be used both indoors and outdoors. Using expert and customer feedback, we were able to come up with what we consider to be an exhaustive list of the best HD antennas currently on the market. There are several types of HD antennas, so the cost will depend on your preference. 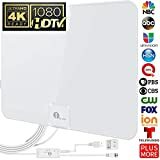 You can get a non-amplified indoor antenna for $20-$40 or pay up to $150 for more advanced ones. There are still other options that offer good performance that you can pick up for less than $20. Here is our list of the top HD antennas available on the market today. 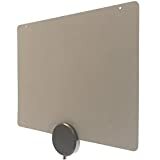 If you’re looking for an HD antenna that’s good for your wallet and the environment, the Mohu ReLeaf HDTV antenna is it. According to Mohu, the rectangular-shaped ReLeaf antenna is made out of recycled paper and plastic from crushed cable boxes. To take it one step further, the installation instructions are printed on the inside of the box that the antenna comes in to eliminate the need for any extra printing paper. Aside from its benefits to the planet, the ReLeaf actually performs well. The latest tests have shown that is can pull in stations within a 40-mile radius which is up from the 30-mile radius of previous test results. It’s a multi-directional and reversible antenna, so you don’t have to worry about having it pointing to any one direction. With a 10-foot long cable, you should have no problem placing it anywhere you choose. The ClearStream 2Max HDTV antenna is one of the more popular options on our list, and while it also comes in 40-mile and 70-mile versions, our review will focus solely on the 60-mile version. The ClearStream 2Max comes with a good reputation of providing strong, reliable performance on a well-built device. Whereas most other manufacturers take the route of providing flimsy, inconspicuous, plain-looking antennas, the 2Max is beautifully-designed and has a sturdy stand, making it perfect for inside and outside your home. At around $55, it’s one of the more expensive antennas on the market, but its performance and design make the price acceptable. It doesn’t come with a coaxial cable, so you will have to purchase one separately. It’s easy to setup and comes with a lifetime warranty on the parts in case anything breaks down. 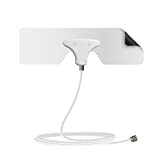 In terms of aesthetics, not many antennas come close to the Mohu Curve 50 HDTV antenna. If you want an antenna that you can leave out in the open in your living room without feeling embarrassed, this is one of the better choices. Latest tests of the Curve 50 have it receiving signals from up to 60 miles in Full 1080p HD. 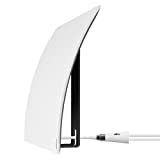 It’s also a 4K-ready antenna which means that it can properly display any 4K content that it receives. 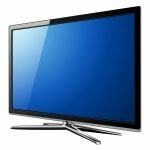 It comes with a 16-foot coaxial cable along with a 73-inch USB cable which gives you plenty of flexibility in terms of where the antenna will sit in relation to your TV. The Curve 50 generally provides strong and reliable signals regardless of where you’re located. It comes with a 12-month warranty in case you need help with anything. At around $60, it’s also on the higher end of the price spectrum, but the premium design and reliability are worth it. The Mohu Leaf Metro is an extremely lightweight HDTV antenna that’s perfect for those living in cities. It’s actually so small that you can easily fit it in a briefcase or purse if you want to take it along with you on a trip. It comes with pushpins, so you can just stick it to your wall. The Leaf Metro isn’t an amplified antenna, so the signal range is only limited to 25 miles. For city-dwellers who are looking for a budget-friendly antenna, this is the perfect option for you. It’s multi-directional, paintable and reversible, so you can place it inconspicuously just about anywhere in your home. Even with its small size and lower cost, the Leaf Metro delivers reliable performance for the networks that are within its reach. 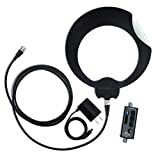 With arguably the most features of all the options on this list, the ClearStream Eclipse is an HD antenna that picks up reliable signals for up to 35 miles. It’s a relatively small but beautifully-designed antenna. Installation is really simple as it comes with sticky pads to help you stick it to your window or wall. Although the range appears to be limited, it’s capable of pulling in more channels than most other antennas on our list. It’s multi-directional and double-sided which means that you can install it any way you want and still get reliable service. You also have the option of adding an amplifier, but expert reviews indicate that it doesn’t help as much as one would expect. Its surface is also paintable, so you can redesign it to match the colors of your room. You don’t have to worry about spending money to repair the Eclipse as it comes with a lifetime warranty. As the only outdoor-only antenna on our list, the Winegard Elite offers performance that’s equal to or better than the other options on our list. With a 70-mile signal range, the Elite 7550 is perfect for those who have trouble receiving signals from closer towers or would prefer to use more distant towers with less interference. It’s a directional antenna, so you have to install it facing the tower, but the good news is it’s easy to install, and it can be used for multiple TVs. City-dwellers can also use this antenna as it comes with an LTE filter that allows it to reduce the level of interference that usually comes along with using an antenna in the city. At around $150, the Elite 7550 is a pretty big investment, but it pays off with its ability to access distant signals that other options simply can’t. The FLATenna doesn’t come with many extra features, but it performs just as reliably as more expensive options. As far as design, it’s a thin piece of plastic with the antenna wire embedded in it. Other than the short cable that can’t be replaced and the fact that it feels so flimsy, the FLATenna does a great job of picking up signals, and at such a low cost, the value is hard to beat. 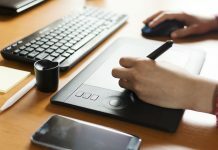 The warranty period is the shortest of any of the options on this list, so it’s definitely something you should be aware of in case you need service in the future. A moderately-priced option, the 1byone antenna is lightweight, easy to install and offers solid coverage up to 50 miles. The amplifier is detachable, but it needs to be attached in order to get the full 50 miles of coverage. It’s designed to resist moisture and direct sunshine, so you should be able to place it just about anywhere in your home. Reviews of this antenna indicate that although it does a good job of reaching signals from distant towers, the performance of those channels isn’t always reliable. The Vansky antenna is simply one of the best available. It’s one of the more popular options on the market, offering 4K image quality and a coverage area that surpasses just about all others on our list. It’s easy to install and comes with a super-long 16.5-foot coaxial cable that allows you to place it just about anywhere you please. It’s capable of receiving signals from towers up to 80 miles away and can be used with or without the attached amplifier for reliable performance. Choosing the best HD antenna for you will depend on where you live and your budget. For city-dwellers on a budget, the Mohu Leaf Metro may be a good choice because of its price and reliability. For those with a bigger budget who prefer a more aesthetically-pleasing option that offers reliable performance and large coverage area, the ClearStream 2Max is the best of the bunch.